Our ceramic band heaters are designed to meet the industrial requirements of a highly efficient and energy conserving heater. These band heaters are designed with inner resistance coils that are spirally wound. The mat is located beneath a layer of stainless steel giving it high durability in challenging conditions. Being one of the most reliable Ceramic Band Heater Manufacturers In Delhi, Sunrise Products is dedicated to deliver premium quality products to its clients. Transferring heat through radiation and conduction, these heaters are less prone to thermal expansion issues. You can also avail our Ceramic Insulated Band Heater in customized configurations. 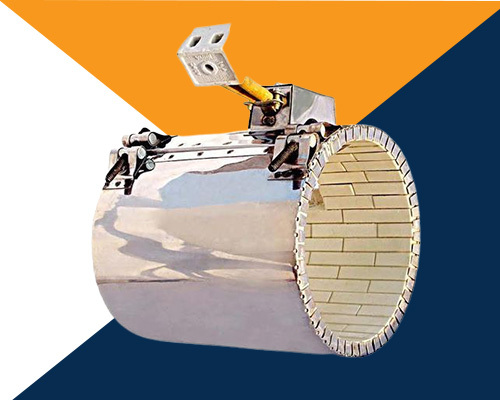 We are one of the well-known Industrial Ceramic Band Heater Exporters and Suppliers in India. Discuss your requirements with us, and we will deliver the tailored product to your facility.